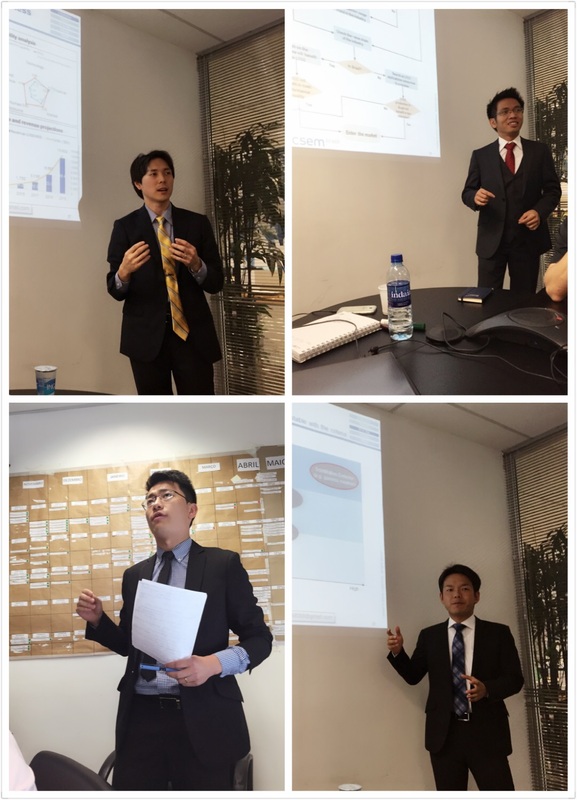 This week marked the end of our Global Consulting Project with Siam Commercial Bank, one of the largest three commercial banks in Thailand. The out-of-classroom perspective into the banking business and its international expansion strategy has lasted four intense weeks. In this time we’ve undertaken a range of holistic practical approaches including interviews with many banking experts from top-tier banks and consulting companies. In addition to the insider business knowledge that we gained from these interviews, my four team members have also taught me much about the importance of teamwork–lessons I will take away for life. One said that happiness is not always the destination, but the journey. I totally agree and the four people who became my GCP teammates have brightened every day of the four week period, making this great career journey even more memorable. During our time abroad, we’ve shared many activities together outside of the project—visiting Thai tourist attractions, experiencing authentic Thai food from many parts of the country and sharing my native language with one another (the team created a lots of unique Thai sentences!). All this truly cast the GCP as a really colourful and engaging experience. Last but not least, I would like to say thank you to the Cambridge MBA project office who instigated this project to allow us to apply our MBA learning and tackle new challenges outside the classroom. The experience has more than prepared us to hit the ground running when we return to work in the real business world later this year. 20 pairs of havaianas, 400 pao de queijo’s (Brazilian cheese bread) and 350 Brazilian expresso shots later, five MBAs bid farewell to Uberlândia, Brazil (or what we call ‘Superlândia’). We finally presented to 10 senior executives from both our client company and its conglomerate incubator, and it could not have gone any better in my opinion. Initial feedback from the client was that our presentation brought a fresh perspective on the future of PV business as well as Alsol. Looking back, the fact that our client contact Gustavo dedicated much time to face-to-face communication and to sharing his insights with the team made a big difference. Of equal importance was the fact that each team member specialised in their own task field and delivered exceedingly. Our team used break-and-form tactics where each member was assigned as a primary or secondary responsible party to each main task, and it worked well for us. Outside of the Global Consulting Project, we were featured in a newspaper to promote educational collaboration with the private sector. Then, directly after our final presentation, we gave talks to 300 students of ESAMC University in a seminar and shared our thoughts on culture in businesses as well as on the MBA experience. A challenge of a different kind! It is really nice to know that our one month in the city has benefited parties beyond the team and the client. I believe the project has more than provided me with what I had hoped to achieve, and for that I thank my teammates and our client Alsol. Back from the Easter break, everyone was excited this week to work on the final presentation scheduled for Thursday. However, there was still a lot of work to be accomplished; we decided to divide and conquer. There were multiple components of the deliverable for Thursday – Digital Consumer Journey, Digital Content Strategy, Essentials Plus Ideas (remaining from our initial brainstorming) and combining the prioritised recommendations in a roadmap. We laid out the ‘Why’, ‘How’, ‘Impact’ and ‘Prerequisites’ of each idea, including examples of each. We also included examples of good vs. bad execution of digital strategies by various companies globally. In the recommendation, we stated the basic digital platforms and unifying strategic themes to form the essential elements, enhanced by immediate, short-term and long-term initiatives. We also laid out a graphical digital journey with multiple entry points and multiple paths for the client to visualise how each piece of our recommendation fitted together. Although all the stakeholders were expecting no surprises in the meeting on Thursday, our additional Essential Plus ideas were well received. The Merck team was extremely happy with the final outcomes. Celebrations followed with photo sessions and an evening dinner to wrap up the rewarding project. After finishing up the third week of our Global Consulting Project with an Easter holiday in Rio de Janeiro, the final week proved full of surprises. It became clear that each of the key stakeholders from different levels within the company had various expectations. For instance, the COO expected us to deliver product application alternatives and the manager expected us to overcome the organisation’s capability gap. At the same time, we ourselves wanted our GCP recommendations to reflect a concrete and achievable action plan. A top-down and bottom-up approach fulfilled almost all of our client expectations. In addition, we developed and combined inputs using Cambridge MBA frameworks to build a comprehensive assessment of the LTCC and ceramic microsystem industry. We offered a business model that would vary in terms of value chain coverage; each business model determined by different customers’ needs and value offerings. CSEM can evolve its business model from prototyping, manufacturing, customizing, licensing, to own product in response to capability development. On the strategic side, we provided CSEM with a complete-set of corporate development, marketing and strategic human resource management practical tools. In conclusion, to become a strong for-profit organisation, organisation culture must adapt to become more customer oriented. Our one-month’s hard work was more than rewarded with the positive response of the top management to the recommendations we presented. Both we and the client learned a lot from this project. With every challenge along the journey, we can proudly say that Global Consulting Project has been the highlight of our Cambridge MBA experience.